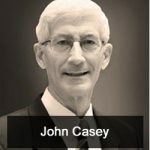 Former White House space program adviser, a NASA consultant, and space shuttle engineer John Casey takes issue with scientists, politicians, and anyone who believes in the phenomenon of global warming. He takes issue because, according to his research, it’s a complete sham with no evidence supporting it, and we’re actually in the midst of a global cooling due to a sun cycle. John and Jason Hartman talk about why we’re being misled regarding our climate, how we can know for certain, and what is ACTUALLY happening and why. [2:03] Are we seeing global warming, cooling, or nothing much? [6:33] How can someone know who to believe when it comes to what is happening with our climate? [10:11] Wouldn’t a little bit of global warming be good for farming and agriculture in a lot of the world? [15:12] What’s the motivation for people pushing the global warming agenda?